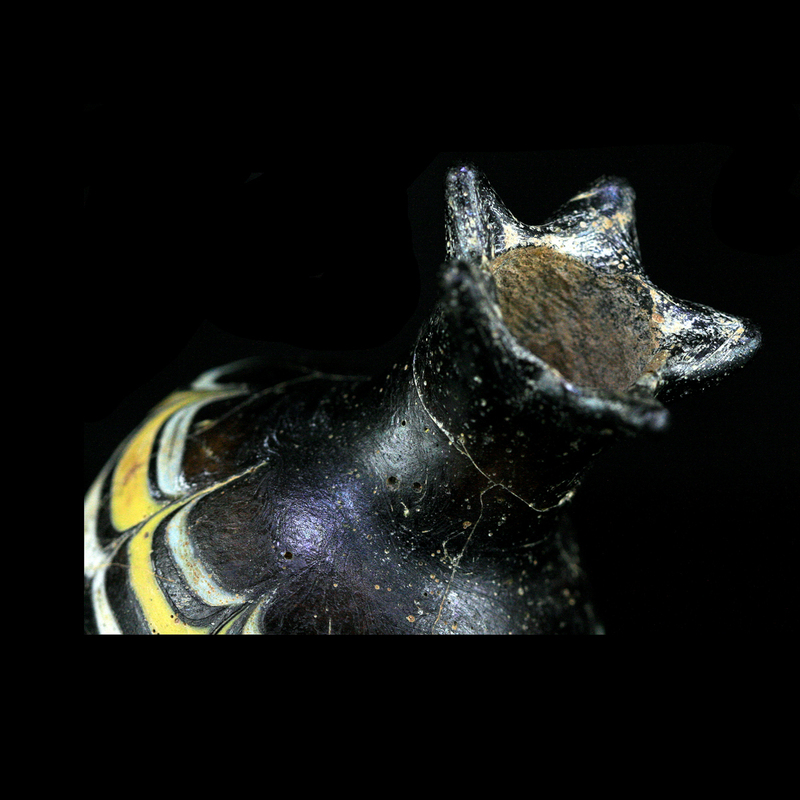 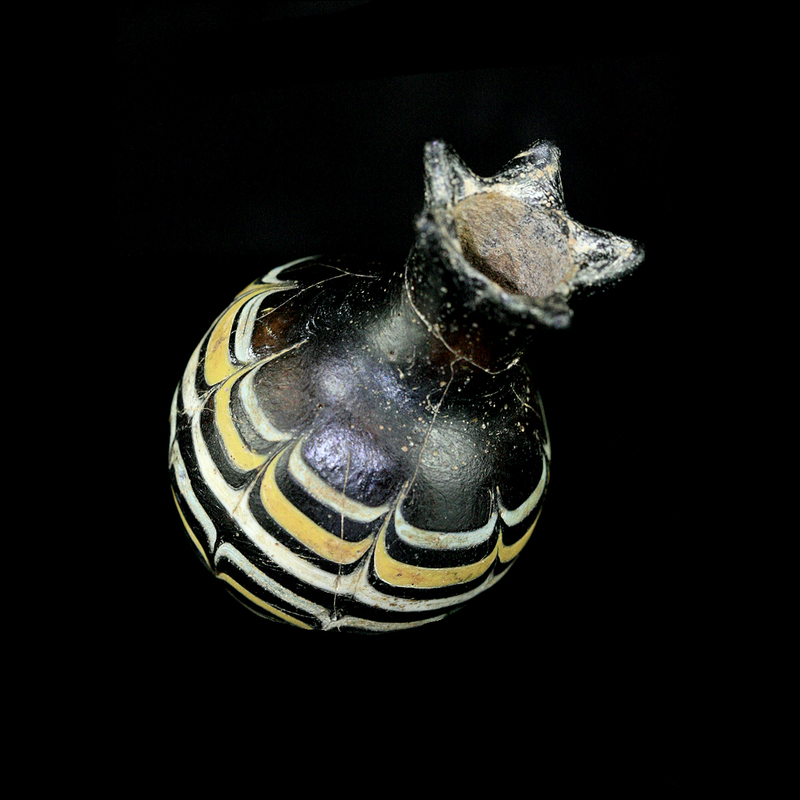 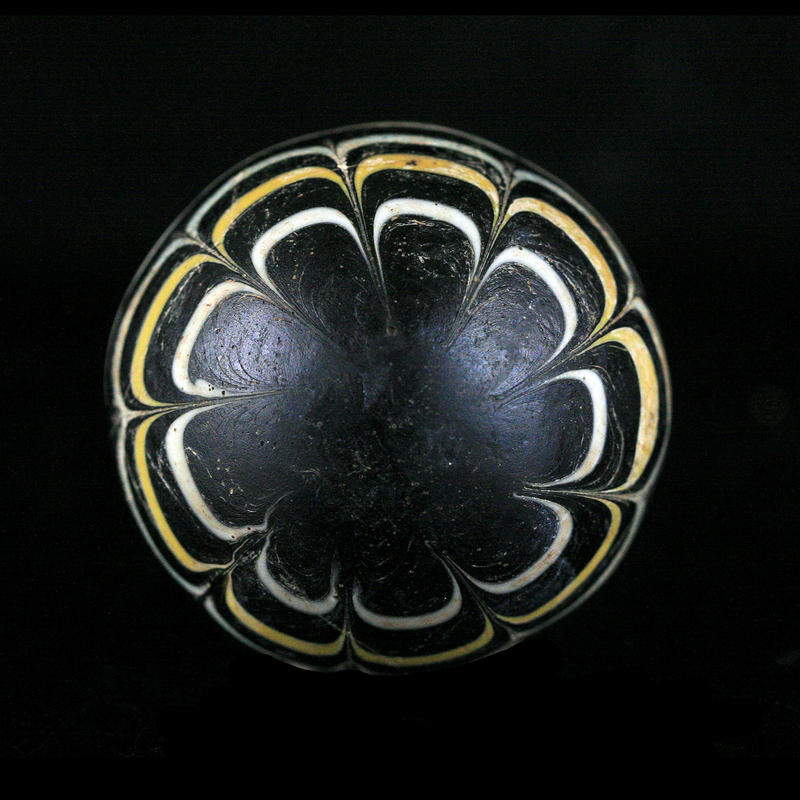 ﻿ Exclusive Items : An important Cypriot core formed glass vessel in pomegranate form. 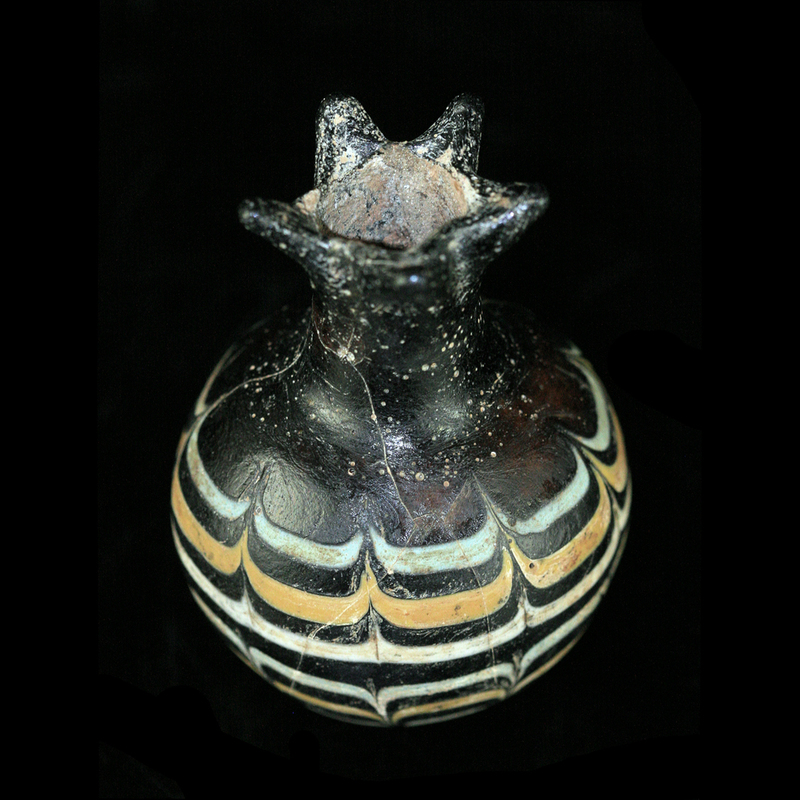 An important and very elegant Cypriot core formed glass vessel in pomegranate form, the globular body rising to a neck that supports a flared mouth in the form of five triangular calyx-tips. 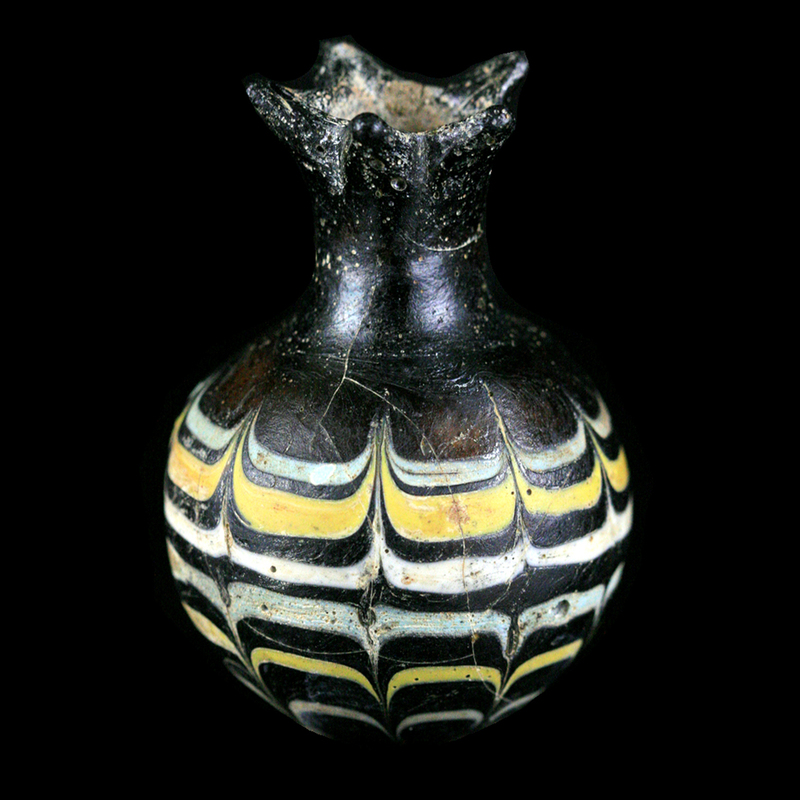 The body of the flask decorated with pale blue, yellow and white trail decoration. 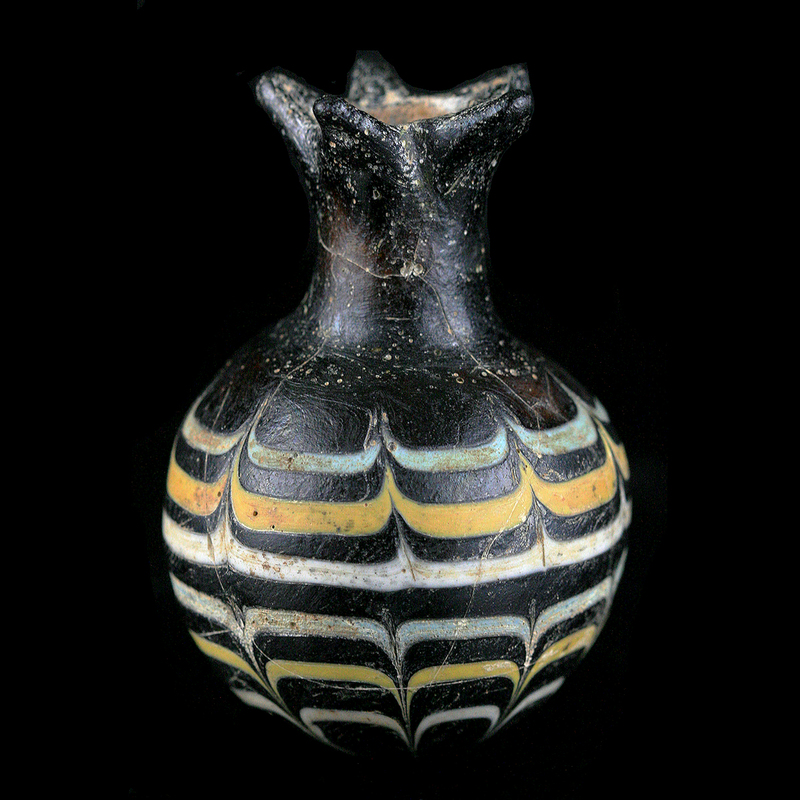 Possibly made for the Egyptian market.